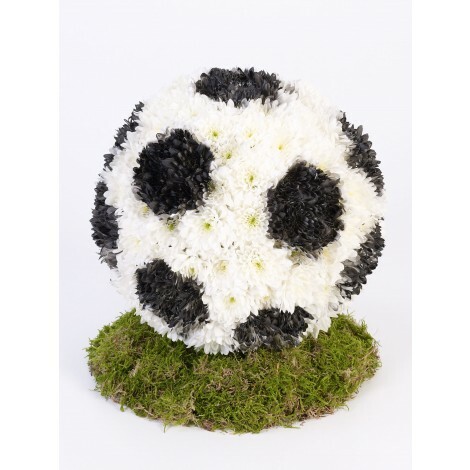 This creative, round football tribute is crafted from only the freshest of flowers to create this stunning round, football shaped tribute. 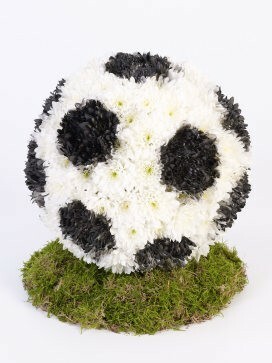 Featuring; a mass of white double spray chrysanthemums are used in this football-themed three dimensional tribute, with some sprayed black to create the distinctive football pattern. 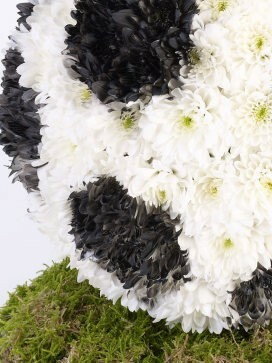 This creative culmination is displayed and presented on a moss-covered, green base.